So I own a 2013 Camaro LS and I've had it since 2015. 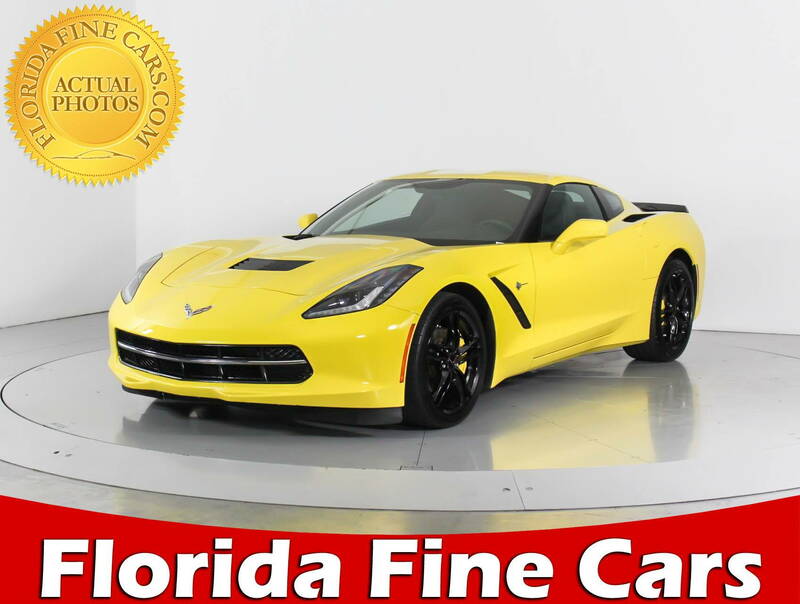 I wanted to see if I could afford a 2016 Z51 1lt or 2lt. I need some advice, I saw a 2016 1lt for $40,000, I can a 5-10k down payment and finance the rest. Should my dad co-sign the loan? I go to college and it's free because of scholarships and I also receive 5000-6000 every semester from my scholarship money. I will have to work in order to maintain this beast, but I just want some expert opinion. My dad's credit score can get a 4-5% APR for 60 months. I already have some money saved for retirement on my self-directed Roth Ira. My dad says I can make the move, however what do you guys recommend. My parents will cover gas and insurance, all I have to worry about is the car payment and any extra. Should I wait till the C8 and see if the C7 corvette prices drop? How long should I finance for? What should be a reasonable down payment? Any cost that I should add? I appreciate any input, thank you soooooooooo much! That car is not a Z51, it is a base automatic. They bought it on 10/18 at auction. No advice here, except those payments roll around quickly. It sound like you have a great start on life. At 18 most people don't have a Roth IRA or know what they are. It sounds like your parents raised you right. Talk to them and see what they think. They know your and their financial situation better than anyone. Corvettes will be around for a long time, get your education and start your life. Don't burden your self with debt till you start your life and career. Thank so much, so it looks like I really should wait then to get the opportunity of those great deals on a C7. Thank you soo much on your wisdom! I just don't wanna pull the trigger early lol! I know I will be considered the old fuddy duddy, but I would not take on that debt while you are in college. For one thing, you stated you will have to get a job to "maintain this beast." A 2013 Camaro is a very nice car to own in college and if you can maintain your college without working and use that time to study it will pay off at graduation time. As a person who was a hiring manager for several year, I can tell you that grades do matter. If you wait until you graduate, and you score a great job because of good grades, a Vette will be an easy buy. Go ahead and hate me, but I think I am giving you the best advice I can. It is not good financial decision to get yourself in debt at young age. Car like this comes with many other expenses and worries, and not just gas and insurance. Invest your money in stocks or real estate is better choice. The thing is, you haven't proven you can make a living yet. If I'm reading this right, you'll graduate before the Vette is fully paid off. That means either you find a good job immediately or your Dad will wind up making the payments. You're obviously smart or you wouldn't have received those excellent scholarships, but there are a lot of smart guys working the minimum wage. Sometimes it takes a little while to get your break. Me too, except it was an old C1 at a time when they were cheap. Paid for it with cash from summer jobs. Two years after graduation bought a new 427 Vette - and paid cash for that too. To the OP: rather than work to earn money to pay for the Vette, you'd be better off to work on your college education - get better grades, take more classes, graduate sooner, whatever. That's an investment in your future that will last forever. I would never ask my dad to co-sign on a car for me. If I needed him to co-sign, then I couldn't afford the car. Keep the Camaro, complete College, get a good paying job and then consider a Corvette, Home, Wife, Children, only time will tell and that you do have. Go for it, chicks will dig it and you are in the prime of your life to enjoy these cars. Lol crazy right, my parents actually sold an investment property and used some of the gains for the car so i was able to drive my car to and from school at 15.
thanks for the advice! I will be sticking to college and focusing on the bigger picture! Good advise above. Can I add go to graduate school? Even if you don't think you need it. Some day you will be glad you did. You actually have a nice car to get you through college. I went from high school to the Air Force and was married to a 69' Charger. It was not reliable, got 9mpg and the insurance was sky high. My parents never paid for my car or insurance. So I was car poor all the time. But, I established my own credit which helped down the road. Save all you can now and once you get that good job you will have a decent amount of $$$$ saved to put down on a NICE C7. You will have time to research the C7 and will know exactly what you want. Plus your payments will be lower. And, you will really appreciate the car once you get it. Good luck! Focus. Priorities are finishing school, finding a job/career and then settling down on your own. Break the financial dependency from your parents and support yourself as soon as possible. Then you can re-prioritize your wants and needs. If a car is your first priority, you will remain behind the power curve of life. Owning a Vette with little financial worries is so much sweeter than worrying about the next paycheck. Vettes have been around since 1953, they wont disappear any time soon.